If you are training hard it is important to take care of your body. Dehydration can not only slow down your progress in the gym but add to some serious health issues. The concept of dehydration is pretty simple, it is when the fluid you take in is less then the loss of body fluid. When looking at the general causes of dehydration there can be many, not just that you exercised too hard. Being that we are mostly made up of water it is important that we keep drinking proper fluids to maintain health and how our cells function. Here are some of the most common causes of dehydration. Some of the most common ways to treat minor dehydration is simply to drink more fluids, water specifically. If you have found yourself to be in a situation where you think you are in elevated levels of dehydration you should see a Doctor immediately. If you are experiencing a higher heart rate, low blood pressure or any of the symptoms from major dehydration you may require an IV tube to replace the fluids. Whenever possible you want to avoid working out in extreme heat. If you are training here in Thailand that might not always be possible all the time. So make sure you plan ahead. Bring with you extra water to any classes or events where you plan to exert yourself. At no point do you need to ask for a water break, if you are feeling dehydrated, take a moment to get a drink then hop back into training. Your coach will always understand the importance of keeping your fluid intake up. Also we suggest that while you are training that you limit or avoid alcohol consumption on days prior to extreme training. Sure its fun to make the gym smell of tequila sweat when you press hard through the class, but you won’t be doing yourself any favors. 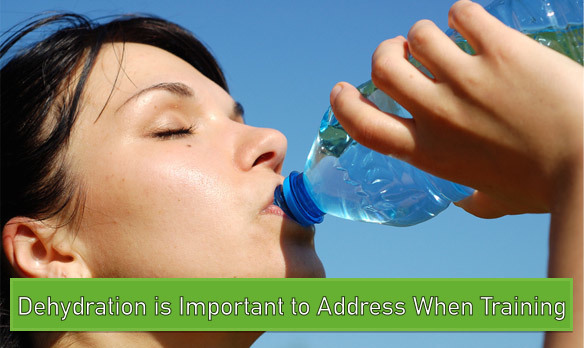 I hope you found this article on Dehydration is Important to Address When Training helpful.